Kon-Shisho is a member of the Ninja Tribunal. 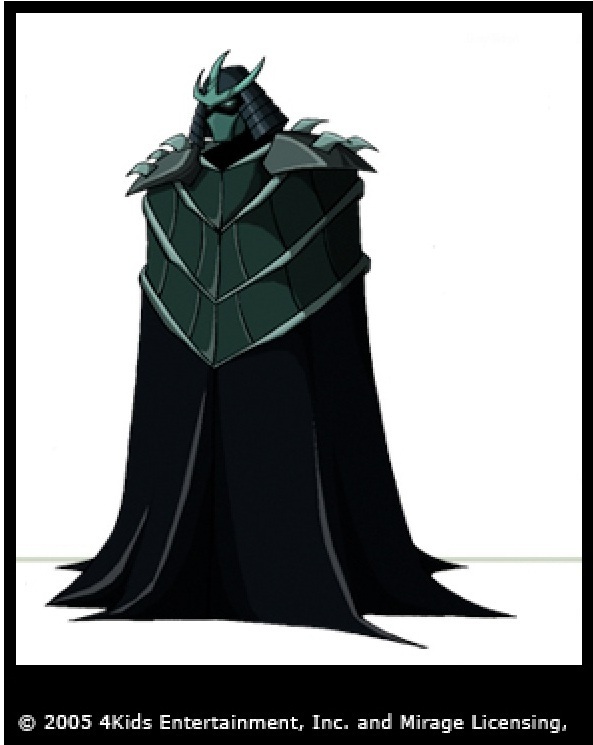 He appeared in the 2003 animated series. He contains the power of the spirits and was the first to reveal his true form to the Turtles and their Acolyte friends. He prominently appears during the fifth season of the 2003 series he also appeared in the Fast Forward episode The Journal and the season finale of Back to the Sewer as a guest at the wedding of Casey Jones and April O’Neil. As one of the Masters of the Ninja Tribunal, Kon has the power of flight and chi manipulation. As the Ninjutsu Master of Spirit, he has the power of precognition and possesses control over wind. Like his fellow masters, Kon can transform himself into a dragon. His weapons of choice are two katana that spin in a buzzsaw fashion similar to Banrai.